India Yamaha Motor Pvt. Ltd. introduces the new version of Yamaha MT-09 in the Indian market today. Built with the “power of a monster” and the “agility of a roadster”, the new MT-09 has been introduced in a bid to strengthen its superbike segment in the market. Developed on the concept of a “multi-performance neo-roadster” that is in sync with the global MT Series design direction, this ballistic brother is the upgrade to the existing MT-09 that promises superior experience through its striking design and extraordinary technology. The new MT-09 is priced at INR 10, 88,122/- (Ex showroom in Delhi) which is pegged lower than the existing model’s price, thereby transmitting the Goods & Service Tax (GST) benefits to the customers. It will be available at selected dealers across the country. Swing arm mounter rear fender. With minimalistic design frills, this bike is aimed at providing a boastful riding experience accompanied with superior performance. 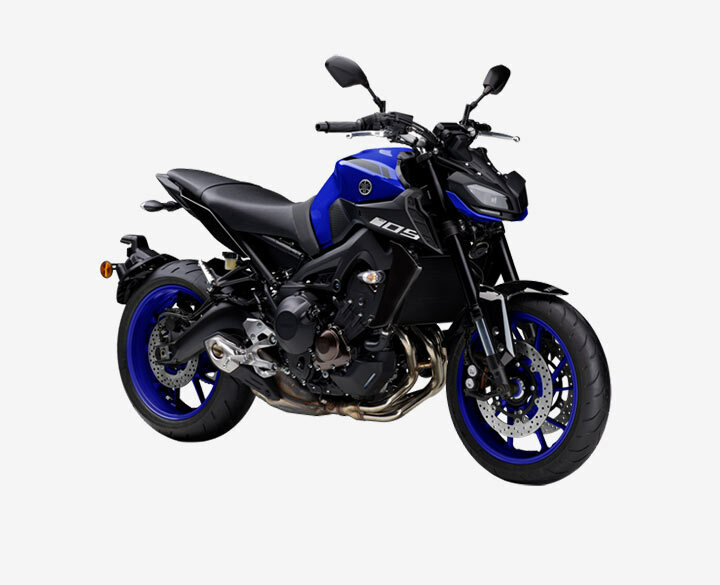 Yamaha MT-09 is targeted towards the youngsters who are stepping up from 600 cc sports model or thinking for downsizing from a large-displacement model and looking for a two-wheeler with superior characters like agile performance with swaggering power yet a compact build for efficient handling. This model will be imported as a Completely Built Unit (CBU) by India Yamaha Motor Pvt. Ltd. (IYM). Yamaha technology is known globally to offer the desired nimbleness and edge which motorcyclists seek from a two wheeler. It is exciting to announce the introduction of the new MT-09 in the Indian market shortly after its successful run globally. The new MT- 09 will reiterate Yamaha’s commitment to offer in India the very best mix of Yamaha’s superior expertise coupled with its unique flair for innovation. The new MT-09 has been constructed with excellent rigidity balance that contributes towards the bike’s agile handling performance and power delivery.